Now this is what dreams are made of. Sugarcoated dipped in honey dreams you have of selecting invitations and greeting cards, running the tips of your fingers over quality paper, smelling that fresh paper scent as you crack open a card to pen your words of endearment. You mean, you don't dream about cardstock? Oh. I guess that makes me the weirdo in the room. Combining full color illustrations, quality heavy paper, rounded corners and complementing illustrated envelopes, Felix Doolittle stationery is exquisitely individual and a treat for both giver and receiver. The talented Felix Fu is an artist and visual storyteller from Hong Kong that currently resides in West Newton, Massachusetts (just outside of Boston), creating intricate perfections on paper in watercolor that are not only charming and whimsical, but have a magical element to them. As Felix puts it, "Perhaps it is the flavor of the English influence in Hong Kong blended with New England tradition and a dash of child-like enthusiasm." Ah yes, Felix just perhaps. Felix is exactly the kind of man I'd love to visit for a day, observing him as he works in his studio on his many illustrations. What talent! 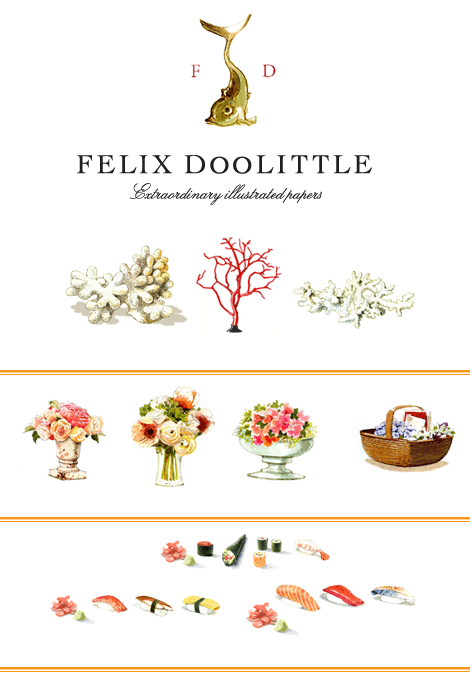 Please visit Felix Doolittle online for more information and to view his complete line of stationery. 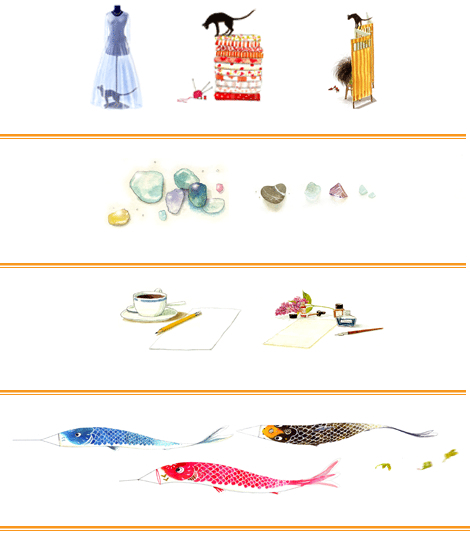 The doolittle that does a lot for stationery!